On March 23, 2019, at 1535 eastern daylight time, an experimental amateur-built Commuter Craft Innovator, N257AR, was destroyed by collision with terrain during an uncontrolled descent after takeoff from Thomas B. David Field (CZL), Calhoun, Georgia. The pilot/owner/designer/builder was fatally injured. Visual meteorological conditions prevailed, and no flight plan was filed for the flight test which was conducted under the provisions of 14 Code of Federal Regulations Part 91. According to employees of Commuter Craft, the accident airplane was the prototype for an airplane kit that was planned for mass production. The accident airplane was flown for the first time by a test pilot on February 25, 2019 at CLZ. The test pilot completed one traffic pattern and landed without incident. The airplane was disassembled, returned to the factory, modified at the accident pilot/builder's direction based on captured data and test-pilot observations, and then brought back to CLZ, reassembled, and taxi-tested the day prior to the accident. On the day of the accident, the pilot asked his assistant to fly in a "chase plane" with a camera and photograph the airplane "in case it takes off." The pilot said he did not intend to fly, would land if the airplane lifted off, and would only fly if "he had no other choice." According to his assistant, she watched from the chase plane as the airplane departed "barely above the trees," turned in the traffic pattern, and then descended from view. According to the chase pilot, the accident pilot/owner instructed him to depart ahead of N257AR. 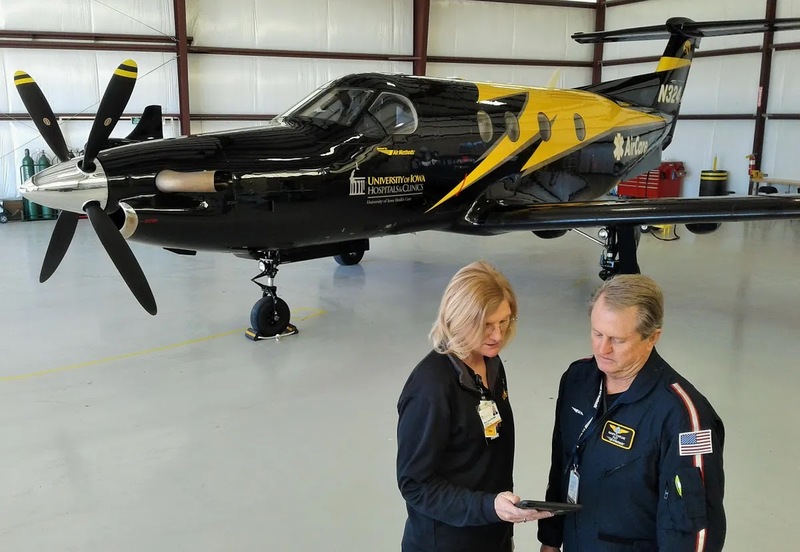 The pilot/owner said he would takeoff, enter the downwind leg, "verify the plane was flying satisfactorily" and then climb the airplane to 3,000 ft. Once at altitude, the two planes would join up to capture footage of the prototype airplane in flight. Footage of the accident flight was not captured, but the chase pilot witnessed the accident flight from about 2,500 ft. The chase pilot watched the accident airplane take off and turn to the crosswind and downwind legs of the traffic pattern. He estimated the airplane never climbed more than 200 feet above ground level (agl), and that the airplane struggled "to maintain airspeed or a nose-up attitude." The chase pilot heard the accident pilot announce his intention to return to the airport, though a reason was not specified. He said the airplane was "porpoising" in flight before the nose "dipped down" and the airplane collided with trees and terrain. Another pilot witnessed the accident flight from his car as he approached the airport. Immediately after takeoff, the airplane was "pitching and rolling and appeared unstable." He estimated the pitch and roll excursions were about 20° left and right, and nose-up and nose-down. The witness described the crosswind turn as "steep" and estimated the bank angle at 45°. 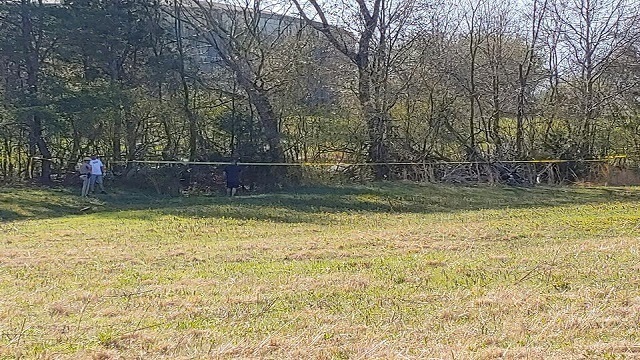 He also stated the airplane was "very low" and estimated it was about 150 ft agl in the turn when it disappeared behind trees due to "distance and low altitude." The witness said he could not hear the engine sound from inside his car. In a telephone interview, another witness said that he was inside his workshop when the airplane flew "low" overhead. He said the sound of the engine was loud, smooth, and continuous until the sounds of impact were heard. The witness left his shop to discover the airplane had crashed on his property. The pilot held a private pilot certificate with a rating for airplane single engine land. His most recent FAA third-class medical certificate was issued December 6, 1999. Preliminary review of FAA records revealed the pilot did not hold a valid medical certificate nor had he completed a BasicMed course. A review of his logbook revealed the pilot had logged 334 total hours of flight experience. He logged 4.7 total hours of flight experience in 2018. His most recent flight was 1.1 hours in duration on April 27, 2018 in a Flight Design CTLS airplane. According to employees of Commuter Craft and the pilot's logbook, the pilot had no experience in the Innovator airplane as either a pilot or passenger. According to FAA records, the airplane was manufactured in 2018, and its most recent condition inspection was completed on November 12, 2018. It was a two-place, twin-tailboom, rear-engine, pusher-propeller airplane of composite construction. It was powered by a Titan IOX-370-CLD1T4 engine. According to a Commuter Craft employee, the airplane had accrued about 12 hours on the hobbs meter, of which about .3 hours was actual flight time. The wreckage was destroyed by impact and displayed no evidence of pre- or post-impact fire. Ground scars and fragmentation of the wreckage were consistent with ground contact in a steep, nose-down attitude at high speed. The wreckage path was about 90 feet long and oriented 132 degrees magnetic. The initial ground scar was in an open field and the main wreckage came to rest inside a narrow wood line between two fields. Flight control continuity could not be confirmed due to multiple cable breaks and fractures. All breaks and fractures exhibited signatures consistent with overload failure. The engine was separated from its mounts but entangled with the main wreckage. Engine control continuity was established from the engine to its control quadrant, which remained attached to the engine. The two composite propeller blades of the constant-speed propeller were both uniformly fractured at their respective hubs and displayed chordwise scratching. The engine's crankshaft was rotated by hand at the propeller flange and powertrain continuity was confirmed through the accessory section. Thumb compression could not be confirmed on the #1 and #3 cylinders due to impact damage. Internal borescope examination revealed signatures consistent with normal wear and lubrication. The electronic magnetos were impact damaged, and the engine-driven fuel pump was separated by impact. The engine and its accessories were retained for further examination. The Primary Flight Display, Multi-Function Display, and a GoPro camera were recovered at the site and forwarded to the NTSB Recorders Laboratory in Washington, DC. At 1920, the weather recorded at Richard B. Russell Regional Airport (RMG), Rome, Georgia, 12 miles southwest of CLZ included clear skies and variable winds at 3 knots. Visibility was 10 statute miles, the temperature was 21°C, and the dew point was -8°C. The altimeter setting was 30.21 inches of mercury. 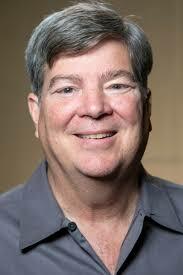 In lieu of flowers, donations may be made in Richard’s memory to the EAA Scholarship Program. 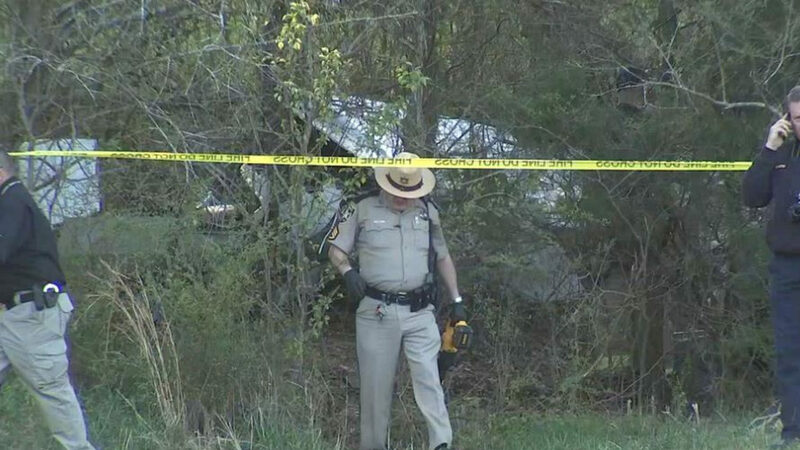 Gordon County, Georgia - Officials say a small aircraft crashed in Gordon County on Saturday afternoon, killing the pilot. 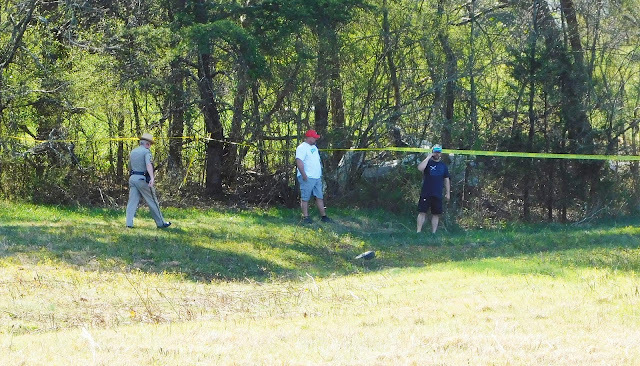 The plane went down shortly after takeoff from the airport in Calhoun, crashing close to a neighborhood, officials said. The pilot has been identified as Richard Hogan, 63, of Cartersville. Hogan owned Commuter Craft, a company that designed airplanes. Seiden learned that Hogan told the Atlanta Journal-Constitution that he planned to build an unusual-looking propeller plane called The Innovator. Officials said he crashed it Saturday during a test flight. Seiden spoke to neighbors, who said that the crash sounded like a bomb going off. "I was sitting out front with my neighbors, and we heard an engine come across the hill," Jody Miller said. "We heard a loud blast, like a bomb going off." Miller said he never saw the plane coming. 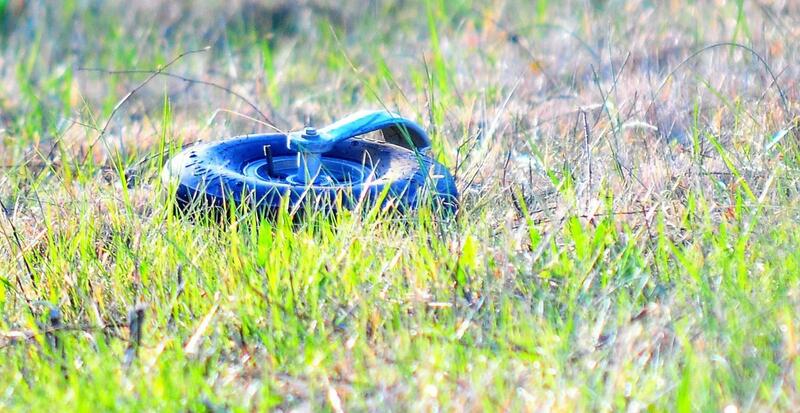 "We all shot to the backyard and didn't see any smoke, but we saw a wheel here in the pasture and then we saw a cloud of dust coming out of the trees," Miller said. Miller told Seiden he rushed toward the crash, hoping the pilot was still alive, but he quickly realized it was too late. “I went out there myself and got about 10 feet from there, and I turned around and walked back," Miller said. Investigators said they are still working to determine the cause of the crash, but they say the pilot was flying an experimental plane and something went terribly wrong. Miller and his neighbors are shaken but glad the aircraft didn't go down on any of their homes. National Transportation Safety Board investigators are expected to arrive at the scene Sunday morning. 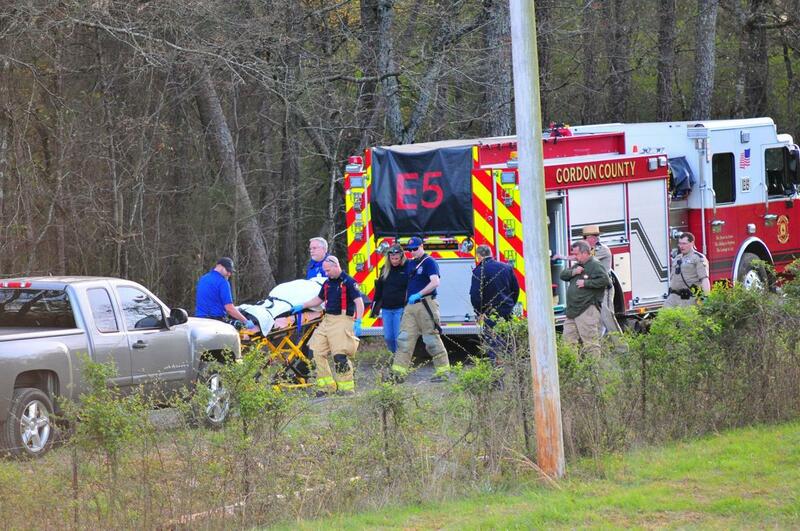 UPDATE: The man killed in a small plane crash in Gordon County on Saturday afternoon has been identified as Richard Hogan, 63, of Douglasville, according to Deputy Coroner Christy Nicholson. 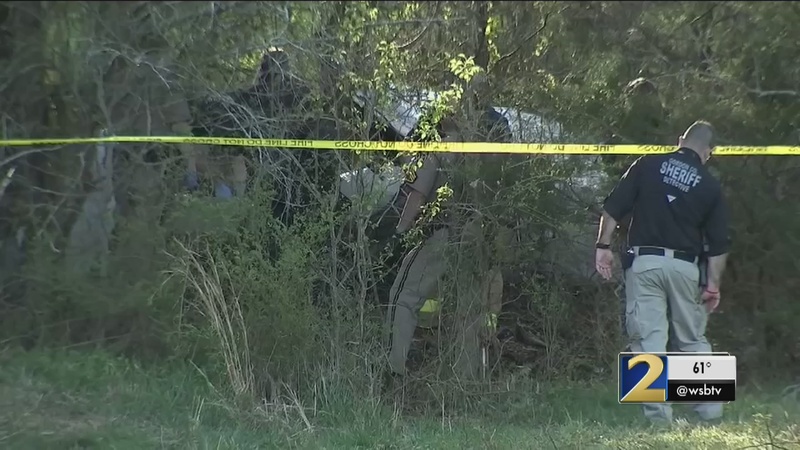 Hogan's body will be taken to the GBI Crime Lab in Atlanta for further examination and a ruling on the official cause of death, Nicholson said. 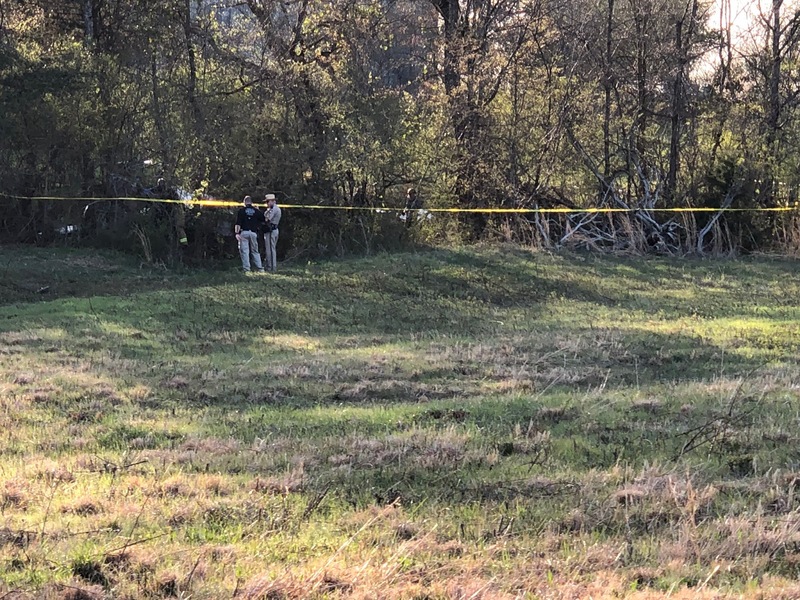 Nicholson pronounced Hogan dead on the scene of the crash, in a field near a residential neighborhood on Spencer Drive south of Calhoun, at 4:32 p.m. But Hogan died upon impact from multiple blunt force trauma injuries, she said. His name was released after the deputy coroner made contact with Hogan's family Saturday night. 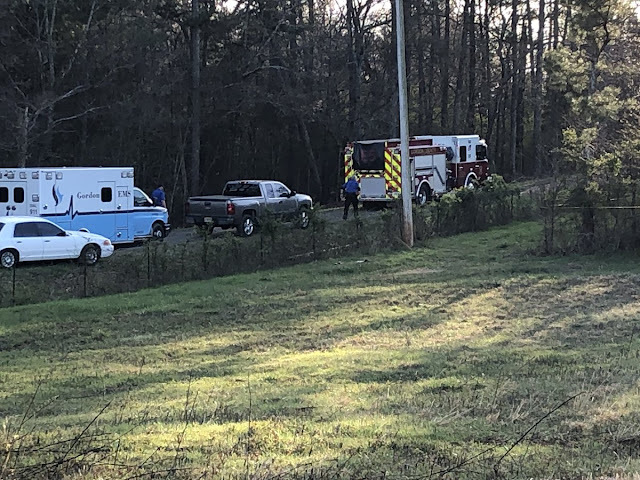 PREVIOUSLY POSTED: Officials remain on the scene of a small airplane crash south of Calhoun which resulted in the death of one person. The crash happened around 3:40 p.m. Saturday. Deputies responded to the area of Spencer Drive south of Calhoun after the crash was reported. 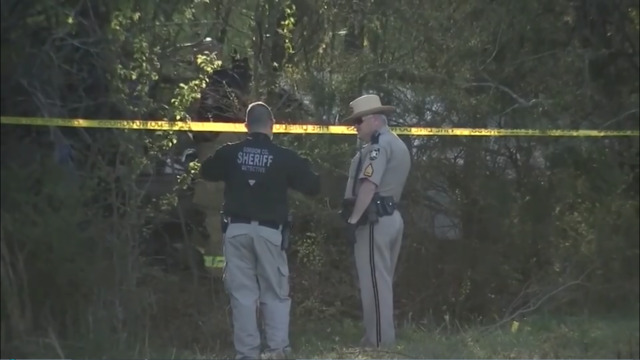 Upon arriving on the scene, deputies found a small plane had crashed into a wooded area within a few hundred yards of a residential neighborhood. The plane was completely destroyed and the single occupant died. CALHOUN, Georgia — The Federal Aviation Administration has been called in to investigate after a plane crash in north Georgia. The crash was reported in a Calhoun field around 3:45 p.m., Saturday according to Federal Aviation Administration spokesperson Kathleen Bergen. Bergen said the plane was an Innovator experimental and amateur-built aircraft. According to Commuter Craft, the Innovator is a two-place, side-by-side carbon fiber kit-aircraft. Authorities reported to NBC-affiliate WRCB that the crash was fatal. The Federal Aviation Administration reported that only the pilot was aboard during the crash. 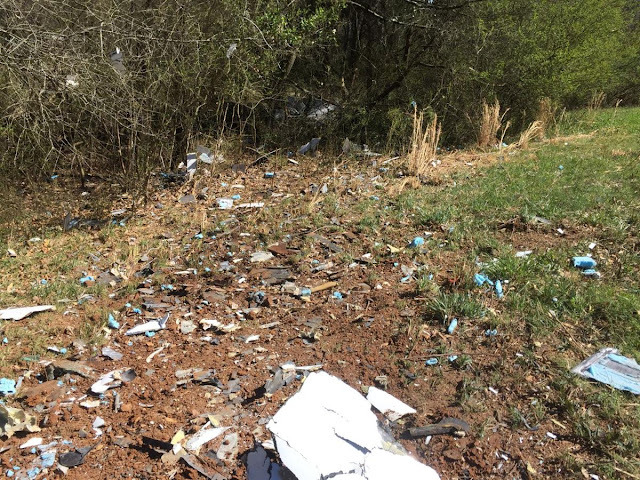 In addition to the Federal Aviation Administration, the National Transportation Safety Board is also working the accident to determine the cause of the accident. The death of the designer of a plane flying in it does not necessarily mean the design has no future. Look a the Taylor Titch, the designer, a school teacher from Southend-on-Sea, UK died flying a prototype in the 60s but it went on to be well regarded and some are still flying and the plans for self build still available. Amateur test pilot. That didn't go so well. I knew something was amiss when he said he wouldn't fly the plane "unless he had to". Doing his own test flight of a new design with no recent experience in anything? I talked to someone that was at the airport that fateful day. He saw Richard arrive around noon and remarked to a friend that he ought to quit before he killed himself. By 3:00 he was dead. The designer was a hard working dreamer who had been around his creation so long that he somehow thought he knew it best. He literally rode his dream into the ground. My sincere condolences to the family. RIP.